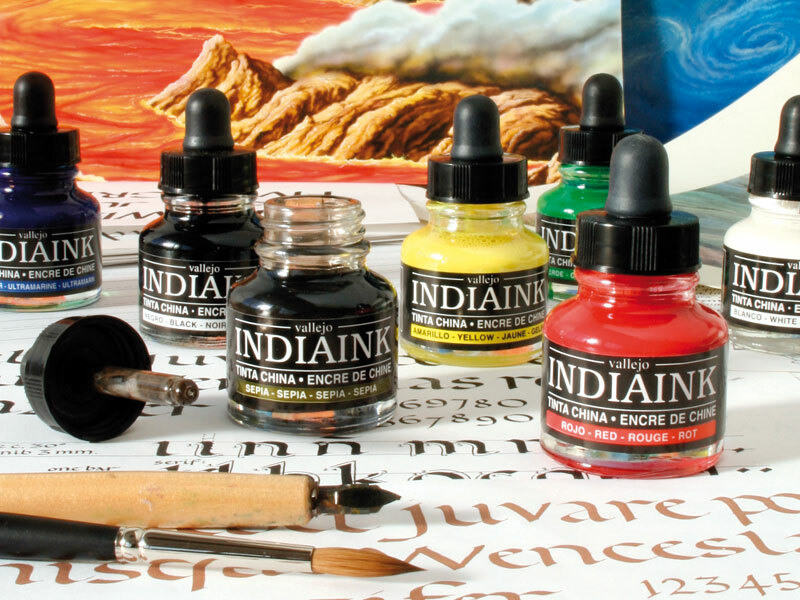 Traditional India Ink for calligraphy, manufactured with permanent pigments and a shellac binder. A range of 10 intense, lightfast, opaque and semi opaque colors presented in glass bottles with eyedropper. Colors can be mixed with one another and diluted with water, dry quickly and waterproof, with a velvety finish. Pens and brushes can be cleaned with water. Vallejo India Ink conforms to the European Security Regulations and Environmental Standards of the REACH Protocol. Traditional India Ink for calligraphy, manufactured with permanent pigments and a shellac binder. 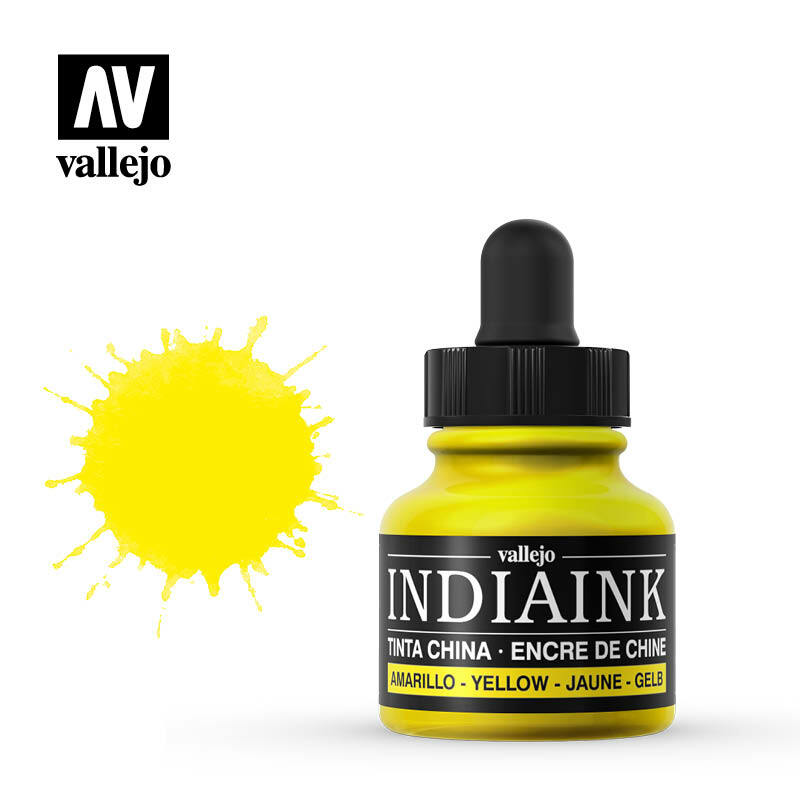 A range of 10 intense, lightfast, opaque and semi opaque colors presented in glass bottles with eyedropper. Colors can be mixed with one another and diluted with water, dry quickly and waterproof, with a velvety finish. Pens and brushes can be cleaned with water. 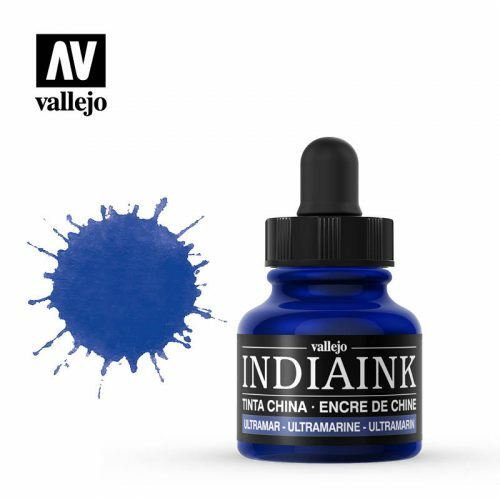 India Ink conforms to the European Security Regulations and Environmental Standards of the REACH Protocol. Available in 30 ml / 1,01 fl.oz. glass containers with eyedropper.